In 1902, Capt. John E. Acland, then chairman of the Committee of Management of Dorset County Hospital, published a brief history of the institution covering its first sixty years. His father, Arthur Henry Dyke Acland, had been one of the founders, and the first chairman of the Committee of Management from 1841 until 1848. Capt. Acland was also the grandson of banker Robert Williams, who was a major benefactor and one of the first trustees. Below is a full transcript of the booklet produced in 1902. Chairman of the Committee of Management. THIS HOSPITAL WAS FOUNDED, A.D. MDCCCXL. AND FOR THE BENEFIT OF THE SICK POOR. With this “Hospital” however we have nothing to do here. At some later period a Dispensary was founded in Dorchester, in Back West Street, presumably for giving out-door relief only, and medicine to the sick of the town, and no doubt the poor benefitted greatly by this institution ; but the Managers in course of time found that they were much cramped in their work, and were anxious to extend their operations. They therefore called a public meeting in July, 1837, to start an Infirmary capable of dealing with both In-Patients and Out-Patients. But the County was not prepared for this step, and the project entirely failed for that year. The good seed had however been sown, and it soon sprang up and bore fruit. Dr. JACKSON and the Rev. J. TEMPLAR were appointed provisional Secretaries, and a strong committee was selected to promote the scheme. gave a freehold property valued at £1,500, situated in “Back West Street” (now Princes Street) which was admirably adapted for the purpose. It consisted of the Timber Yard of Messrs. CURME & MONDAY, with one or two houses facing the street. Thus from its earliest conception, down to the present day, the Hospital has never been without the generous and open-handed support of the Bridehead family. building which the funds permitted to be taken in hand, viz. : the present North Wing. Some few patients were also enabled to be taken into the old houses. In the month of February, 1840, the contract for the North Wing was signed with Messrs. G. W. Slade, for the sum of £1,188, which portion of the present building was completed in March, 1841. We can well imagine how anxiously the promoters of this great County Charity watched the rising of the walls, and the development of all their plans ; making use of the period of suspense in preparing rules, selecting officers, and working out the necessary organization for the reception and welfare of the patients. Up to this time nearly £3,000 had been given for the Building Fund, and on 16th March, 1841, another public meeting was held, at which the provisional Committees and Secretaries presented their final reports, earning the well-deserved thanks and congratulations of the representatives of the County. At this meeting, Rules were passed, the Committee of Management and Officers elected, and the Institution put on the necessary footing for commencement of work. Patron : THE EARL OF ILCHESTER. MR. H. C. STURT, M.P. Treasurer : MR. HERBERT WILLIAMS. Hon. Chaplain : THE REV. G. WOOD, Rector of Holy Trinity. Consulting Physician : DR. COOPER. Physician : DR. JACKSON. Consulting Surgeon : MR. C. ARDEN. Surgeons : MR. W. D. TAPP, and MR. G. CURME. House Apothecary : MR. J. GOOD. Matron : MISS WOOD. Chairman of the Committee : MR. ARTHUR H. D. ACLAND. H. FRAMPTON. A. H. D. ACLAND. J. STONE. REV. J. A. TEMPLAR. H. PLOWMAN. REV. G. WOOD. LEVI GROVES. REV. H. MOULE. Hon. Secretaries : JOSEPH STONE. WILLIAM BRIDGE. months the full average of 20,”* for which the Wards were equipped. It was in fact very soon apparent that the Hospital had been greatly needed. “It gained more and more the confidence of the poor and of the public, and its benefits were sought after beyond the limits to which they could be extended.” Applications for admission had continually to be refused, as neither the funds for maintenance, nor the accommodation were sufficient to meet the demands. *From first Annual Report, dated January 1842. Institution on a somewhat limited footing. Further efforts were also imperative to raise money for extending the Building, and we find that among other sources from which funds were obtained, a County Bazaar held at Kingston House in September, 1841, realized the splendid sum of £1,130. In March, 1843, accommodation was found for 30 patients, and in the following year, an extension of the permanent building was taken in hand, which was especially necessary owing to the large number of accidents caused by the making of the “Southampton and Dorchester Railway” (the L. & S. W. R.) which were sent here for treatment. arrangements.”* The contract for this part of the work was given to Mr. GODDARD, of Bridport, under the direction of Mr. FERREY, the Architect ; it consisted of the addition of five more wards for patients and for the housing of all the establishment, so that the old cottages, previously used, were no longer necessary. The cost of this addition was about £3,500. It may be mentioned here that in the year 1846, Mr. ACLAND, the Chairman of the Committee, made and presented to the Hospital an interesting form of Sun Dial, viz., a recumbent cross, the time being shewn by the shadows cast by the head and arms. It was placed originally near the S.W. corner of the building, as it existed at that time, but now stands on the plot of grass by the front door, and presents a picturesque object to those entering the grounds. patients, giving them change of air, and change of scene. It is always a pleasant sight in visiting these wards to note the first returning signs of health, and happiness, in those who perhaps have been for many weeks confined to their beds. On any emergency, or when the necessary painting and cleaning is being carried out in other parts of the Hospital, these large and airy convalescent wards can be utilized to accommodate twenty or thirty patients. This part of the building, which was indeed contemplated in the original design, cost about £1,600, making a total of about £6,300 spent on the fabric. house in the town. It was erected at the Hospital, outside “the first landing, at the top of the first flight of stone stairs. The door opened from the landing, directly into the Chapel, which was supported on stone pillars, and thus made a sort of open portico over the back door.”* It answered its purpose very well in the early days of the Institution, but when it was practically completed by the erection of the South, or “Bankes Wing,” Mr. Robert WILLIAMS came forward with the generosity quite hereditary in his name, and at his own cost provided the handsome permanent Chapel, which we know so well. *Letter from Dr. BACOT, formerly House Surgeon. the surname of Troyte. The work was carried out by Mr. WELLSPRING, from designs by the original architect of the Hospital, Mr. FERREY, the Chapel being dedicated on the 9th April, 1862, by the Bishop of the Diocese. Reference should also be made to the handsome Brass Tablet on the north wall of the Chapel in memory of Mr. Herbert WILLIAMS, whose loss in 1878 was keenly felt, the Committee expressing “their sense of the many valuable services constantly rendered to the Charity by their late Treasurer. From the time when it was first projected he had given his best assistance to it, and had shewn his active interest in its well being, both by word and deed.”* Another Brass on the South Wall is in memory of the Rev. C. W. BINGHAM, who died on December 1st, 1881, having been Chairman of the Committee of Management for 33 years. Trinity without remuneration, the patients and resident officials being his parishioners. But as soon as the Hospital was established on a firm footing, the Rector was specially licensed by the Bishop of the Diocese, as Chaplain, and he appointed a Curate to reside in the Hospital, his stipend being paid from a special fund raised for the purpose. In the year 1855 the Rev. G. E. MOULE was elected by the Committee, as the first Chaplain, independent of the Rector of the parish, he and his successors being provided with rooms in the building ; but in the year 1888 different arrangements were made, and the Chaplain from that time onward has lived in his own house in the town. About the same date, the privilege accorded to the Incumbents of the Dorchester parishes of being ex-officio members of the Committee of Management, was abrogated, after remaining in force for over 40 years. Reference has already been made incidentally to the number of beds provided for In-Patients, but it will be of interest to deal rather more fully with this matter now. Before the Hospital was built, the sick poor of the County looked for relief mainly to the Infirmary at Salisbury ; but the distance was so great that they could only get there at the cost of much aggravation of their troubles, and in many cases it must have been difficult to obtain the money for such a long journey. 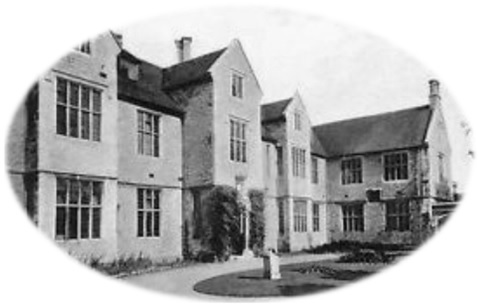 It is no matter of surprise, therefore, that when once our Dorset Hospital was started, admission to it was eagerly sought for, and notwithstanding the additions made to the building, the beds were always full, and often it happened that patients had to be kept waiting for admission until others were relieved and discharged. in 1851 a further increase was made of 10 more beds. But still the Committee were unable to meet the demands made for admission, and we find by the Annual Reports that the weekly average of In-Patients under treatment rose still further, until in 1862 it stood at 51, and in 1870 the highest average seems to have been reached, when the number was 58.
lessened the demands for admission here,” and so no inconvenience was caused by the reduction. Since those days, Cottage Hospitals have still further increased, and no doubt afford relief to very many who formerly would have come to the County Hospital. In the Annual Report for the year 1900, it is stated that since the commencement, the total number of In-Patients had been 17,503, and of Out-patients 28,832. In 1901, the numbers were, In-Patients 299, Out-Patients 961 ; the weekly average of In-Patients was 33, and there were 80 Surgical Operations. Dental cases numbered 384, and the total of all cases dealt with amounted to 1912.
in the principles of Nursing, introduced under the auspices of the eminently practical and benevolent Miss Nightingale. A Nurse, highly recommended by the Council of the Nightingale Fund, has been procured from St. Thomas’ Hospital, and her whole demeanour has fully justified the cost of the arrangement.” It is a matter of speculation for those whose curiosity may be aroused, to discover the principles of nursing before these “improvements were introduced.” But we who live in these “latter days” may well be thankful for the marvellous progress made, not only in the skills of our Nurses and Medical Men, but in the discoveries and all the modern appliances now within reach of those whose lives are spent in the alleviation of pain and in the struggle with disease. 1868 the Porter’s Lodge was built, and has doubtless proved a great convenience to the public, as well as to the inmates of the Hospital. About ten years later, an annex was constructed adjoining the North Wing, thereby improving in a marked manner the sanitary condition of the Hospital, and also providing accommodation for the Nurses in charge of the wards. Coming to a more recent date, we may just refer to the fact that between the years 1893 and 1896 over £1,000 were spent in various necessary improvements, including the entire re-laying of the drains, the introduction of hot water pipes throughout the corridors and wards, the laying of wooden block flooring in the lower passages, re-building defective chimney stacks, and repairing roof, supplying new furniture to the Matron’s and Nurses’ rooms, and introducing electric bells to the wards. to, many of them under anaesthetics, proving that this addition to the Medical staff is greatly appreciated. In 1898 Mr. Charles HANSFORD, a Vice-Patron, and a staunch friend of the Hospital, provided at his own cost, a sheltered alcove adjoining the South Wing, which makes an ornamental boundary to the grounds in front, and proves a welcome shelter for the patients in hot weather. In 1899, the accommodation for Out-Patients was greatly improved ; a new entrance was provided for their special use, and a re-arrangement of the rooms used as the Surgery, the Dispensary, and the Waiting Room was carried out. In 1901, a complete system of Fire Hydrants was introduced, a special water main being laid from Princes Street, through the back yard, and up to the second floor of the building. Eldon, and to the Earl of Ilchester, the latter identifying himself in a very marked manner with the scheme from its commencement. If, in connection with the operating room, a lift can be provided, large enough to take a patient lying on a bed or couch, it will be of the greatest benefit, not only to those having to undergo operations, but for the conveyance of all very infirm patients, and will entirely supersede the present system of carrying up and down stairs. The history of the Institution has now been traced, somewhat imperfectly, through the sixty years of its life ; and looking back to the time when it was founded, we may well admire the wisdom, the energy, the devotion, of those who first started it on its prosperous course. It is indeed a matter of surprise that notwithstanding the many changes that have come over the social condition of the country, the Hospital is still effectively worked on the very same lines that were first laid down. We who have interested this long and well established charity, must be on our guard that we do not trust too much to the generosity of our predecessors. The number of subscribers, is a proof that there is still a large amount of genuine interest taken in the Hospital, but the number is continually decreasing, and constant effort is necessary, by one and all, to maintain this heritage, to develope [sic] the work entrusted to us, and to emulate the example of those who have gone before. We must maintain our proud position of being “THE” COUNTY HOSPITAL ; we must do our best to keep well in advance of all other similar institutions ; we must move with the times, and provide our Medical Staff with every modern improvement ; and let us make sure that those who follow us shall never have occasion to say that we neglected the great charge committed to our care. List of Presidents and Patrons. THE EARL OF ILCHESTER (3rd Earl) 1841–1858. THE EARL OF ILCHESTER (4th Earl) 1858–1866. H.R.H. THE PRINCE OF WALES 1866–1901. This office originated in the year 1866. List of Physicians and Surgeons. List of Chairmen of the Committee and Vice-Chairmen. MR. ARTHUR H. D. ACLAND 1841–1848. REV. C. W. BINGHAM 1849–1881. MR. E. L. KINDERSLEY 1888–1895. REV. C. W. BINGHAM 1847–1848. MR. H. N. MIDDLETON 1855–1875. MR. E. WILLIAMS AND CANON NASH 1882. ILCHESTER.–The 3rd Earl of ILCHESTER was Patron of the Hospital from 1841-1858, and was succeeded by his brother, the 4th Earl, 1859-1866. BINGHAM.–The Rev. C. W. BINGHAM was Chairman of the Committee of Management from 1849-1881. STRICKLAND.–Mr. STRICKLAND, a retired tradesman, in Dorchester, bequeathed £500 to the D.C.H. in 1842, when funds were much needed. FLOYER.–Mr. John FLOYER was Chairman of the Public Meeting in 1839, which started the D.C.H. He was Trustee from 1841 till his death in 1887. BANKES.– (Men’s Convalescent Ward). The whole of the South Wing was built in memory of the Rt. Hon. George BANKES, M.P. for County Dorset, of Corfe Castle and Kingston Lacy. PRINCE OF WALES.–H.R.H (now King Edward VII) became Patron of the D.C.H. in the year 1866. WILLIAMS.–Everyone conversant with the history of the County Hospital, will approve of this name being given to one of the Wards. ACLAND.–Mr. Arthur ACLAND was an earnest worker in founding the Hospital, and the first Chairman of the Committee, 1841-1848. DIGBY.–The Earl DIGBY was Lord Lieutenant of the County when the establishment of the Hospital was in progress. Lord DIGBY, his successor and relative, was President of the Hospital for 23 years, from 1866 to 1889. VICTORIA.–This much loved name was given to the Women’s Convalescent Ward in the Jubilee Year, 1897. There are two wards still un-named.